When it comes to skin care, we want our regimens to be effective. Careful cleansing is essential not only for ridding your face of residual make up and grime, but also preparing your skin to make the very most of your serum and moisturiser. I love Double Cleansing every evening (if I’m wearing makeup or sunscreen) to make sure there are no traces of makeup or dirt on my face. 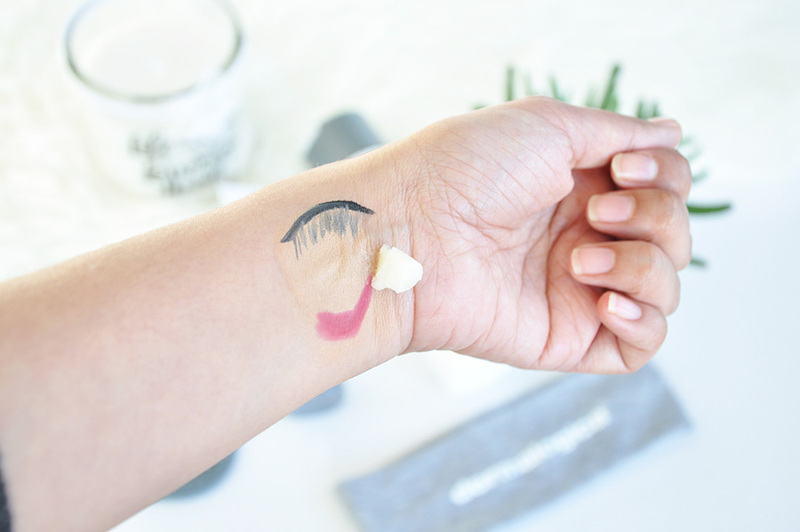 If you’re not familiar with the double cleansing trend, it is a technique recently popularized by Korean beauty bloggers. It’s pretty much exactly what it sounds like; you wash your skin not just once, but twice. The first part of the process is to use a cleansing oil or balm (oil-based cleanser) to break down makeup. Then, follow that with a water-based cleanser such as a foam or gel to deep clean the pores. The Dermalogica Double Cleanse Duo work together to thoroughly remove impurities, calm and purify without stripping or drying out skin. 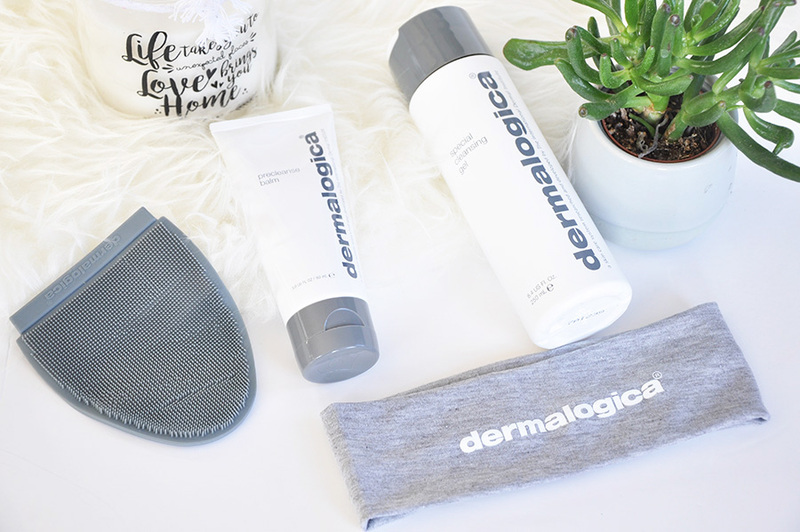 The duo consists of the Dermalogica Pre Cleanse balm and Special Cleansing Gel. Whilst you can buy both of these products separately as full sized items. 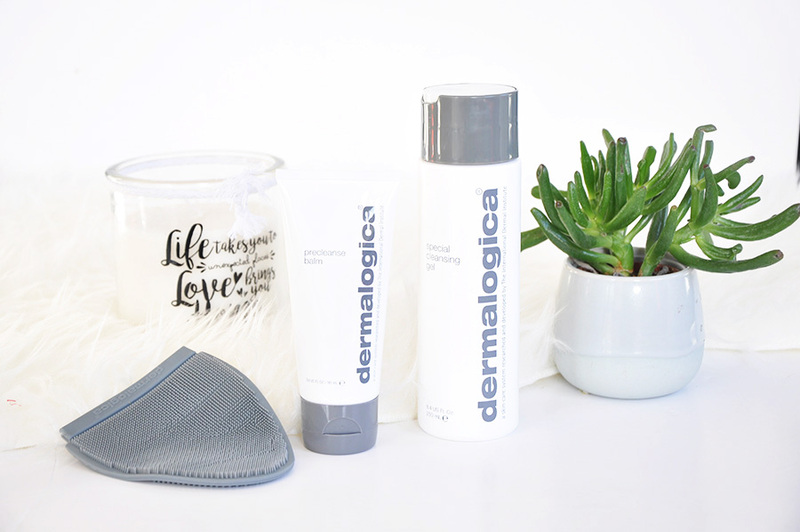 For a limited time Dermalogica have brought out a Travel Kit of the Double Cleanse Duo. 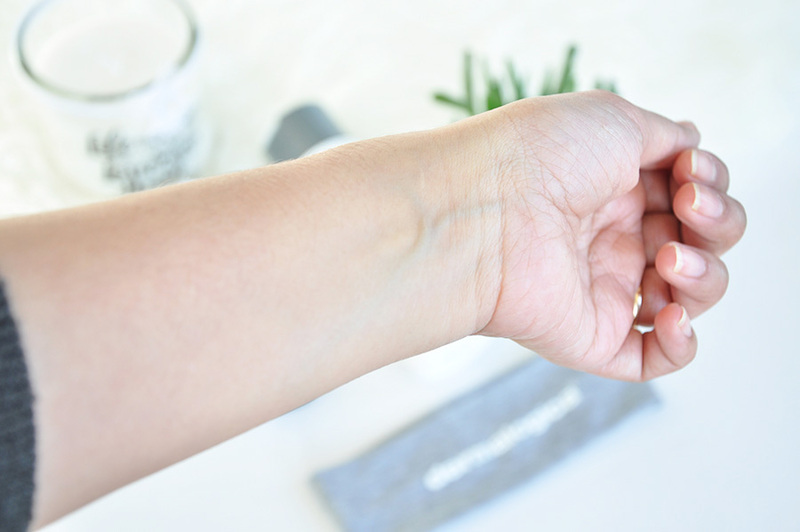 Comes with an all-in-one soft touch, double-sided cleansing mitt to assist the PreCleanse Balm in offering a gentle yet effective cleanse. 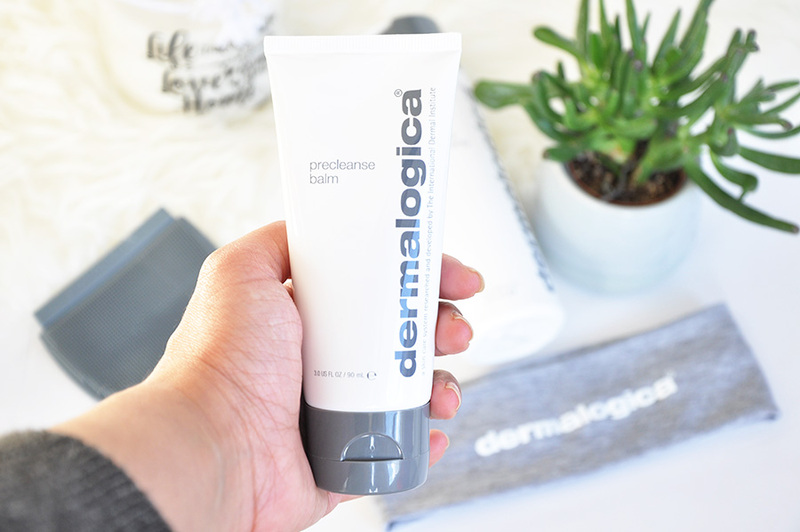 I am honestly so impressed by how well this product works -silky smooth formula of the pre cleanse balm is revolutionary! 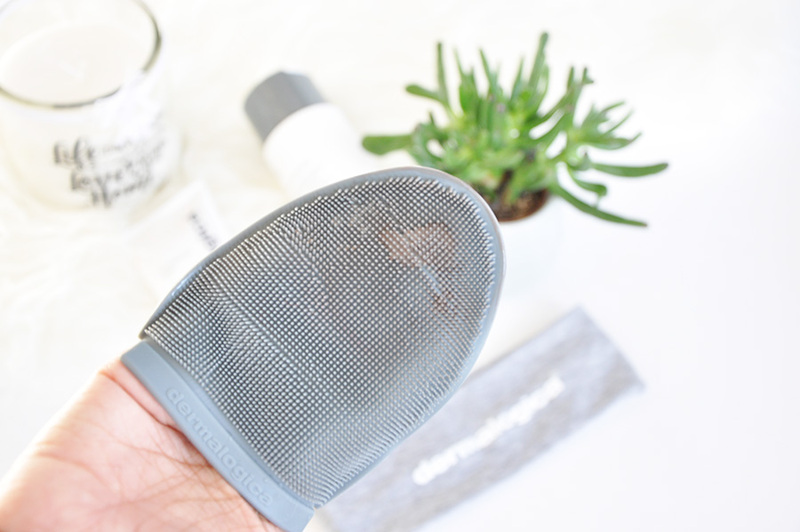 Dermalogica have gone one step further and included a cleansing mitt to increase the effectiveness of the balm for deeper pore cleansing. I can literally buff away the debris of makeup and grime on my face, whilst feels luxurious and spa like. The balm also emulsifies with water so there is no worry of leaving product on the skin. It washes off easily with a face cloth or warm water. My skin felt clean and makeup free after use, and prepped for the cleanser. The smell is pleasant (again smells quite spa like) but not too strong. Unlike most other balms, it comes in a tube rather than a pot. This is so much more hygienic and easier to use. It also makes it a lot more travel friendly too, which is a plus. I have tried many many other cleansers by other brands, but none have done for my skin what Dermalogica does! 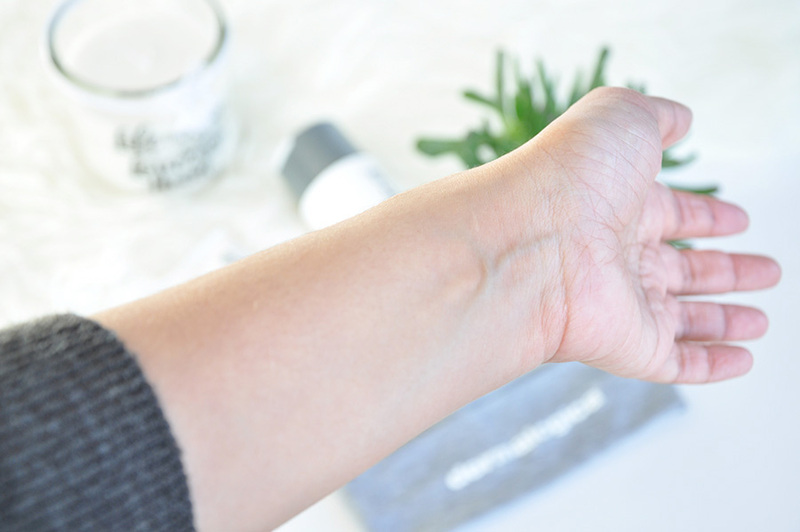 This cleanser leaves my skin feeling refreshed and clean, without drying. I used this gel right after using the pre cleansing balm. It smells very nice and it's gentle enough for my sensitive skin. Typically I have combination skin but in the winter it becomes dry and more sensitive. My face was pretty clean after using the balm, but this made my skin feel great and ready for my moisturiser and fresh makeup. *These products were sent to me complimentary from Dermalogica under preen me VIP program for testing purposes. Opinions are my own – honest & unbiased! I've not seen this brand before. It looks really nice, Clean crisp packaging and I do love lavender and mint.